The hype crescendo for the upcoming Samsung Galaxy S8 shows no sign of stopping. That’s hardly a surprise because holy crap, this is an amazing phone, and it can’t come soon enough. To whet your S8 whistle, Samsung has dropped three new made-for-TV adverts on YouTube, each demonstrating a feature of the South Korean giant’s new flagship. While ‘Breaking Out’ demonstrates the new form-factor of the device, which offers minimizes bezels to a point not previously seen in a smartphone. Finally, there’s a slightly naff one called ‘The New Normal’, which demonstrates how the features found in Samsung’s newest handset will eventually become… you guessed it… the new normal. It’s a bit twee, but I did enjoy the Rufus Wainwright cover of The Beatles’ Across The Universe. Samsung has really ramped up the advertising for its new phone. Last month, it quite literally covered Times Square with advertising for the S8 and S8 Plus. No doubt this didn’t come cheap. It’s not hard to understand why. The S8 lands at a time when competition is fierce. LG, HTC, and Apple all boast their own compelling offerings, and none of those companies are burdened with an exploding phone scandal. Perhaps Samsung hopes that by dangling carrots in front of consumers – namely, a gorgeous display, and a new form-factor – they’ll forget about last year’s Note 7 debacle. Either way, it’s clear what it thinks punters will get most excited about. 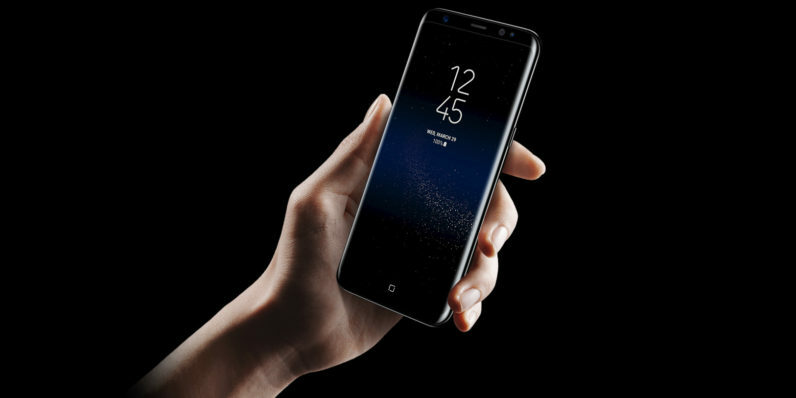 As Samsung brings the Galaxy S8 and S8 Plus to market, you can expect to see the barrage of advertising to intensify.